Disneyland MaxPass : Is it worth it? Is it Worth it to buy the Disney MaxPass? After trying it out on several trips I am going to answer yes, it is worth it for most people. 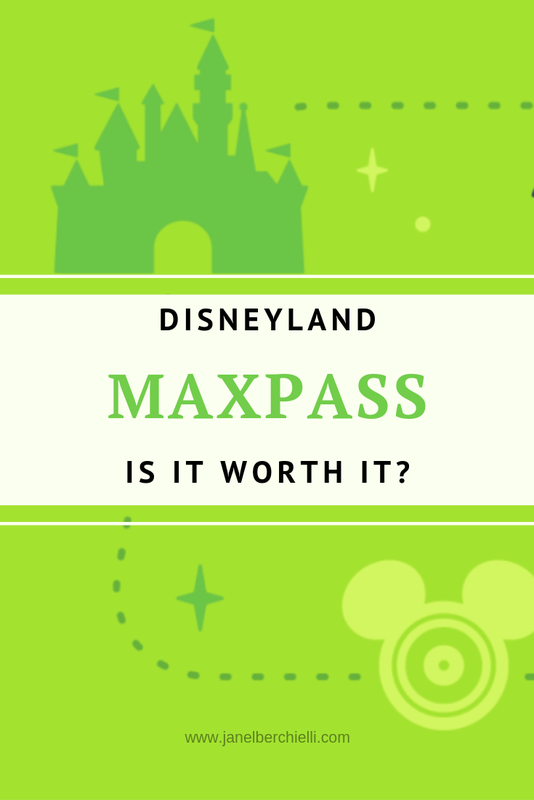 Let's get some background info what is MaxPass, the cost, and how to add MaxPass to your Disneyland Park ticket. MaxPass is an easier way to select FASTPASS e-tickets for specific attractions and entertainment on your mobile devise. The cost is $15 per person per day or if you are Annual Pass Holder an additional one time payment of $100. If you are visiting the Disneyland Resort with a daily/multi day Park Ticket you can choose which day to add it. The Cast Members can assist you at the ticket kiosk or the easiest way is to purchase it through the Disneyland App after you have scanned in your Park Ticket. If you want MaxPass you have to purchase it daily. Tip: You don't have to have it everyday if you don't want it! 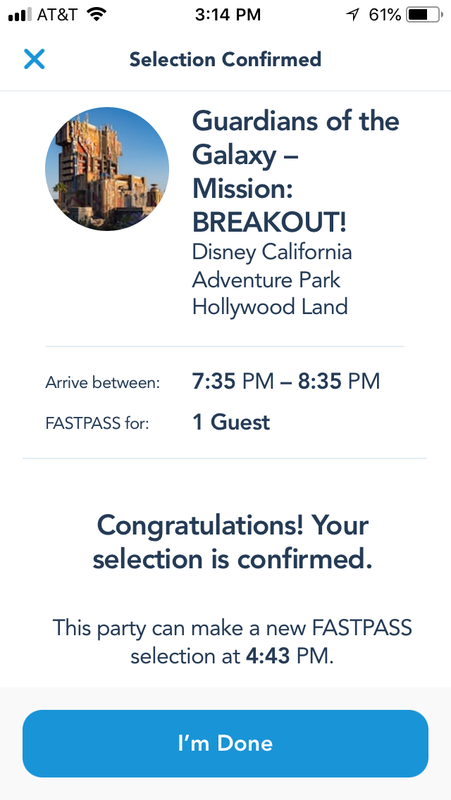 After you enter either Disneyland or Disney California Adventure Resort Park you can immediately select your first FASTPASS using MaxPass for an available attraction via the Disney app on your phone. Within the app you will get easy to follow step by step directions on how to choose and confirm your attraction selection. 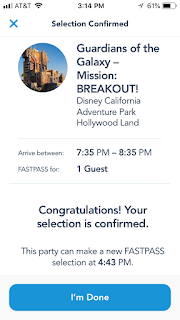 You will also see a time when you can select your next attraction FASTPASS with MaxPass. Go to the attraction within the time window given. Open the app and your FASTPASS/MaxPass should pop up (you might need to click on it). Scan it at the FASTPASS line and proceed to the attraction. Don't close out the app just yet, this is when you will want to select your next FASTPASS using the MaxPass! 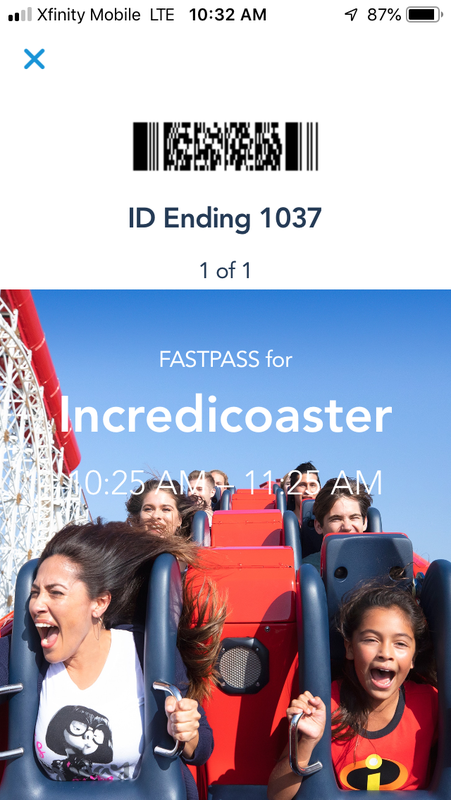 Tip: To Save your phone battery screenshot your FASTPASS (with barcode) within the app. 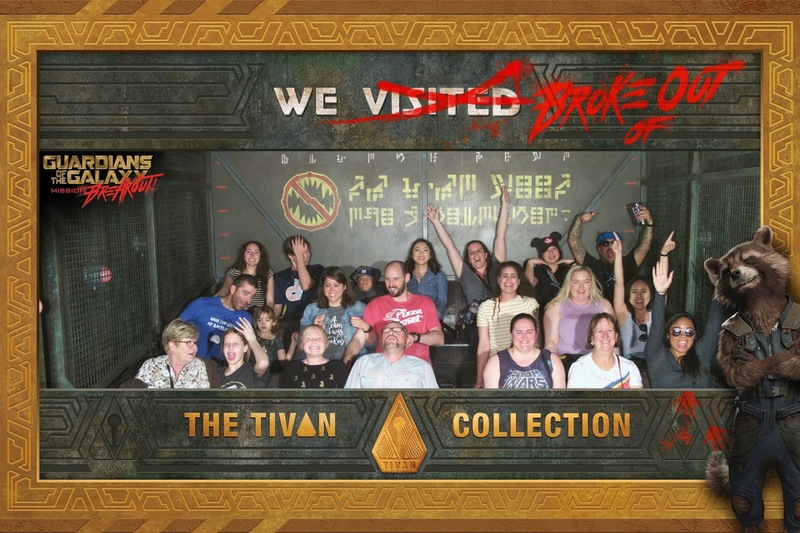 If the attraction takes a photo of you while you are on it, grab the photo code and add that into your App under PhotoPass and you will get a digital copy of the photo included as part of the MaxPass purchase. 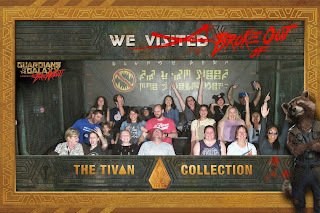 As well as if you see any of the Disney PhotoPass Cast members taking pictures you get those as well. NEW, beginning April 9th, 2019 you can now pull FASTPASSES for select entertainment (World of Color & Fantasmic) with your MaxPass. This is going to save you so much time and energy! Now the only way MaxPass might not be worth it to someone is if you don't like to ride the attractions listed above. In that case, I would say make sure at least 1 person in your party gets a MaxPass at least for the PhotoPass photo opportunities; however, for digitally pulling FASTPASSES they will only be able to do it for the person who purchased MaxPass. There are some circumstances to think about that on very busy Park days not every attraction will be available within the MaxPass and FASTPASSES might run out before the day is over. Overall, I feel like adding the MaxPass to your Park Ticket is worth the value. It saves you time, which in return saves your feet from more walking and gives you more energy to maximize your Disneyland Resort Park experience!